AEI - The 2018-19 Medical-Dental-Legal Update is organized by American Educational Institute (AEI) and will be held weekly from Jun 03 - Aug 23, 2019 at Lake Tahoe, California, United States of America. 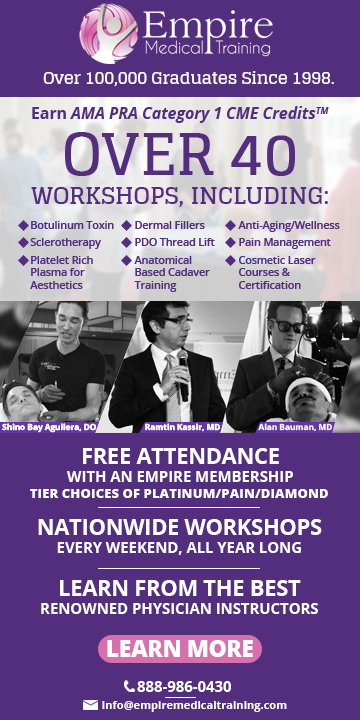 The target audience for this medical event is Physicians, Dentist, and other Healthcare Professionals. 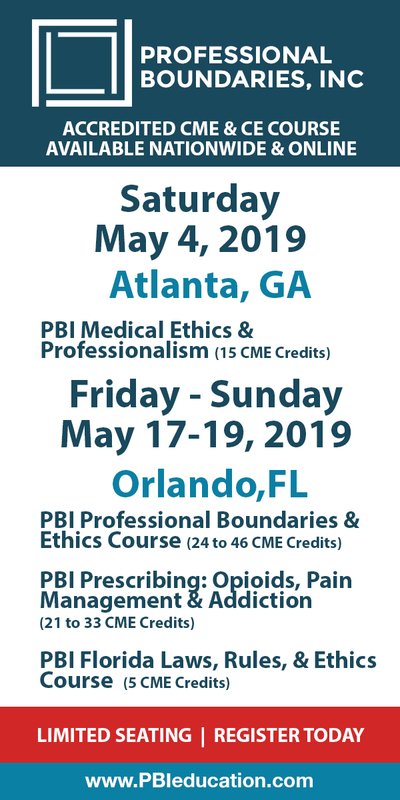 This CME Conference has been approved for a maximum of 20 AMA PRA Category 1 Credits, 20 ABIM MOC, 16.75 AAFP Prescribed Credits, 20 AOA Category 2-B Credits. Conference Description: You practice in a dynamic and challenging environment. While keeping clinically current is imperative, it isn't enough. You must also acquire the skills necessary to navigate a professional liability minefield, manage a more effective and efficient practice, and navigate a maze of healthcare laws and regulations. The 2018–19 Medical-Dental-Legal Update Update is designed to assist you in that endeavor. The course, offered weekly in 32 enviable destinations, is a unique, 20-hour survey of the intersection of medicine and law as well as selected clinical topics. Produced in state-of-the-art production studios with broadcast-grade, HD digital technology. These presentations include discussions ranging from stress management, asset protection, medical malpractice, patient flow, and benefits planning, to Alzheimer’s di­sease, new diabetes treatment guidelines, cannabis in pain management, medication nonadherence, chest X-rays and the longevity di­et. The Update is presented in a structured classroom setting affording you the opportunity for dialogue with your medical, dental and legal colleagues, and through September 28, 2018, you will have over 900 opportu­nities to attend at your choice of 30 premier sun and ski resorts – virtually any week you choose. Conference Objectives are: After completing The 2018–19 Medical-Dental-Legal Update you should have acquired the knowledge that will better enable you to: • Understand and avoid malpractice litigation. • Identify and reduce healthcare office risk. • Understand and start a direct patient care practice. • Protect professional and personal assets. • Utilize non-pharmacologic techniques for managing chronic stress. • Utilize a variety of clinically relevant but relatively unknown treatments. • Consult patients on the benefits of a longevity diet. • Utilize aspirin as a primary prevention agent for CVD, stroke and colon cancer. • Understand risks and benefits of cannabis and cannabinoids in pain management. • Understand and utilize common imaging modalities and techniques. • Identify and avoid legal and ethical pitfalls of treating unreasonable patients. • Implement new type 2 diabetes practice guidelines aimed at cardiovascular risk reduction. • Interpret chest X-rays for common clinical conditions. • Improve practice profitability through more efficient patient flow. • Reduce professional financial stress by better benefit planning. • Understand and reduce medication nonadherence. • Understand Alzheimer’s di­sease and better interact with afflicted patients. • Understand and manage malpractice litigation stress. • Incorporate the relationship between diabetes and oral health into patient care. Meetings Dates: Every Week, Monday - Friday 7:30 - 11:30 am. Additional details will be posted as soon as they are available. Advanced Wilderness Life Support (AWLS) Fall Course 2019 is organized by Advanced Wilderness Life Support (AWLS) and will be held from Oct 04 - 06, 2019 at North Tahoe Event Center, Lake Tahoe, California, United States of America. Continuing Education Credits: The Wilderness Medical Society designates this educational activity for a maximum of 20.5 AMA PRA Category 1 Credit(s)™. Physicians should only claim credit commensurate with the extent of their participation in the activity. This activity is accredited through the Wilderness Medical Society. American College of Emergency Physicians: Approved by the American College of Emergency Physicians for a maximum of 20.50 hour(s) of ACEP Category I credit. American Academy of Family Physicians: Approved by the American Academy of Family Physicians for a maximum of 20.5 hours of AAFP Category 1 credit. Course Description: “Learn the skills to prevent medical problems; reduce suffering and save lives in non-traditional medical settings • Earn your Advanced Wilderness Life Support certification • Learn the latest practical hands-on wilderness medicine skills for patient assessment, treatment and evacuation protocols • Practice your skills in live scenarios with our expert instructors • Receive Wilderness Medical Society Fellowship credit Course Objectives: • To provide a practical foundation in Wilderness Medicine for medical professionals • To teach patient assessment and treatment guidelines for life support until definitive care or evacuation is available • To train the provider in methods for managing medical and trauma emergencies and urgencies in the wilderness when evacuation is unavailable or unnecessary Course Topic: • Patient assessment • Wound management • Trauma • Water treatment • Medical problems • Hyperthermia, hypothermia & frostbite • Infectious disease • Medical kits Additional details will be posted as soon as they are available. International Conference on Plasma Sciences (ICOPS) is organized by IEEE Nuclear & Plasma Sciences Society (NPSS) and would be held during Jun 20 - 25, 2021 at South Lake Tahoe, California, United States of America. Additional details will be posted as soon as they are available.